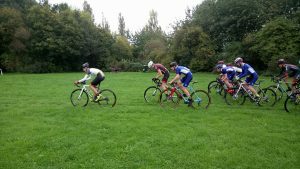 It was a busy weekend again for Avid Sport and its riders, to close out September and bring in October with new kit and lots more big performances. 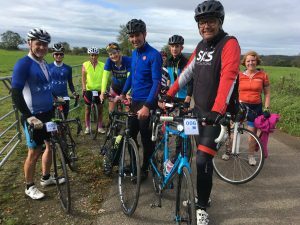 Saturday featured the first Avid Sport “Other Hills of Bath” Sportive, starting at Odd Down and taking in twelve of Bath’s finest hidden climbs. It was a chance for the young racers to ride alongside their parents. 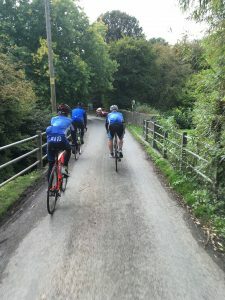 Ride report: ‘The other hills of Bath’. 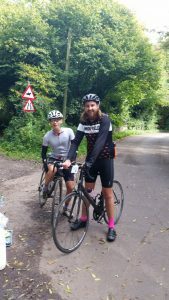 Saturday saw Jenson and I embarking on ‘The other hills of Bath’. 50k of Bath’s finest hills. We had decided not to hit 80k as Jenson was racing cx on the Sunday. We’d got to Odd Down Cycle in Bath in plenty of time for our start and signed on. Numbers were issued, affixed and soon we were off. I took the lead out and with a nice bright dry morning; the pace was brisk but comfortable. We were all riding our own pace until we hit our first hill. 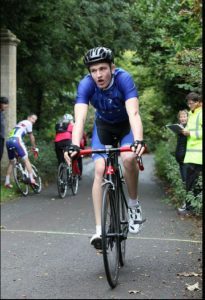 I naturally started to drop back as the younger, fitter riders; one by one passed me. Oh and the mature gentleman, on his hybrid bike, with a PE bag on his back and his hi viz vest flapping in the wind. He passed me too. We later found out this was Felix’s dad. Hills are a thing I never shy away from but neither have I excelled at them. For me; Saturday was just the ticket for a nice local challenge ride. The pace was good. The organisation was smooth. Refreshments – plentiful; with signage clear and regular. Felix Young had even managed to arrange some decent weather! 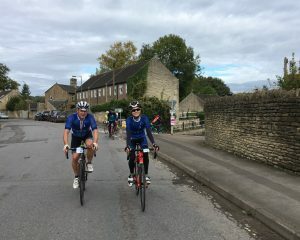 Following the local support sportive organised when the Matrix Tour came to Bath; this was Felix’s 2nd local sportive and it was clear to see, lessons were learnt from the first. A massive thank you to Felix and the team at Avid Sport for putting on such a great ride. Also: A special thank you to my wing man, Youth Shammer – Jenson Harris, who in true Shammer style; never left me behind… Although he could have and got back for his complimentary hot drink so much sooner! Roll on next year’s ride! 10:15am I arrive at the bottom of the climb. I spin it out, seems shorter than I remember. I feel ready though the gradient is such that I’m not sure whether to start in my big ring or my small ring. Oh well, I have ages to decide. 10:30am My friend and Warwick teammate Jamie shows up. He reckons it’s ‘big ring-able’. I’m still not sure. 10:45am I sign on. Lets go second, it will be good to get the pain over with! I warm up for 10 minutes (probably should’ve done a bit more but I’m a pro when it comes to faffing about and there is not enough time for any more) and descend to the start. 11:05am “30 seconds”. I get onto my bike. “I don’t feel stable”, “Please hold me straight”, “You’re not holding me straight!”. “10 seconds”. I have to get over myself now. “Good luck!”. I’m in my small ring. I start pedalling, trying to keep my cadence high. I can start to hear myself breathing. It gets heavier and heavier until I’m not sure that I should push it much more. At the top there is a final flat section which I know when I get to I will have to whack up my gears and give all I have left. ‘Just keep this up until the final straight’ I think to myself. One final kick up, I stand and grind as hard as I can. As I come over the top I shift up, sit down and grab the drops ready to battle into the headwind right up to the line. Crossing the line I look down at my Garmin. Not quite as quick as I was hoping for but my throat is dry and sore as it should be. After slowly pedalling on for about a minute I turn back to cheer on Jamie and watch the results come in. Jamie smashes it with a time of 4:29 to take 2nd male and its a 1st female for me – all in all a successful day for team Warwick! 11:45am-ish I head home for a well earned hot shower and massive lunch! 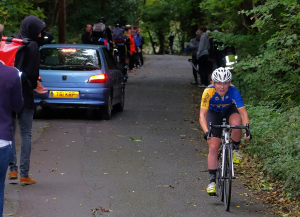 So, a great start to hill climb season for Nancy as she builds up towards the BUCS hill climb at the end of October. 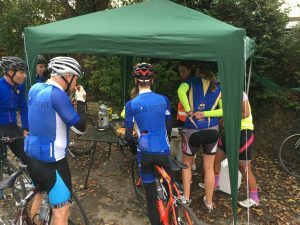 The big local hill climb was the VC Walcot hill climb, and the crowds were out in force for one of the highlights of the local racing calendar. With three Avid Sport riders in the women’s field, including defending champion Kate Baker, things were looking good for a big result. As it turns out, Kate was pulling her now traditional pain faces in the middle of a closely packed podium, with just over a second separating first place (VC Walcot’s Becca Dobbs – 3:02.5) and third placed Emily Slavin (Uni of Bath – 3:03.9), with Kate in second with a time of 3:03.5. Fran Bromley was fourth with a time of 3:09.0 and Molly Hodges took on another discipline far from her favourite TTs, following on from her virtuoso in the cross with a time of 4:06. 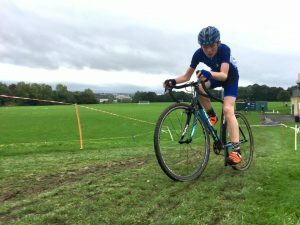 Harry Tucker was also racing, and nicked second place in the junior men’s by 0.3 seconds from friend and rival Ben Wainwright (Team Tor 2000) with a time of 2:32.1. Harry finished behind the class of the local junior hill climbing scene – Morgan Curle (BCDS); who battled through a convoy of Morgan convertibles to shine with a time of 2:21.4 (despite some controversy on the podium where it appeared Felix was trying to secure the win for Avid as part of the organising committee – sorry Morgan!). 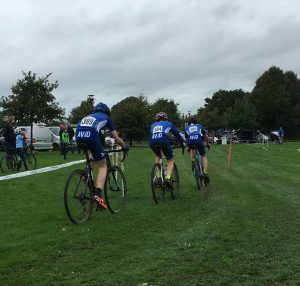 And that was not all – the Western League cyclocross was on at Netham Park. 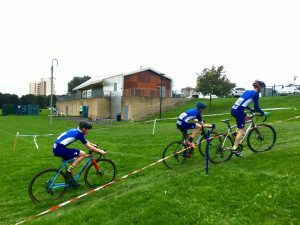 The Avid Sport boys in the U16 and U14 race were looking sharp in their new Avid Sport kit and put on a show to justify the new look. All three Avid Sport riders made an excellent start. The riders collaborated behind the two leaders to drive the chase group away from the rest of the field. Sam and Jenson were keeping the pace high. And Tom showed a great turn of speed to recover after being caught behind a crash. Last Sunday was the fifth round of the Western League in Bristol and it was also the first outing in the new kit. After the first lap, small groups began to emerge. I found myself with Tom, Jenson and a lad from the midlands. We stayed together for the rest of the race until Jenson attacked on the last lap, tearing our legs off and taking third overall in the process. Overall a decent day out. Thanks to all the riders, who have been a joy to work with over the past few weeks and have been putting in some seriously impressive performances. 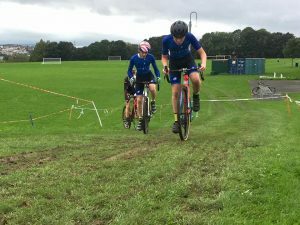 Coming up next, this weekend’s races feature the Sulis Scorpions Club Championships for the youth riders to get back to circuit racing, Fran and Nancy are back on the hill climbs and the next round of the Western League cross. Thanks also to the parents who took most of the photos above and do the leg work getting the riders to all these events!